Castlevania: Order of Ecclesia came out at an inopportune time. Released the same day as Fable II and a mere week before Fallout 3, it totally fell off my radar. Perhaps “totally” is the wrong word there. I had been anticipating it for a while, but somehow managed to miss the release date. It wasn’t until I was trying to find something to finish off a GameStapo gift card earlier this week that I noticed it had actually been out for a few months. As both of you who’ve read this blog for a while can attest, I find it difficult to pass up a Castlevania game, even having played (and enjoyed!) the 3D iterations on the PS2 (although Castlevania: Judgment for the Wii looks bad beyond what even I could stomach). So as soon as I spotted this lapse in my Castlevanity, I immediately rectified it, picking the game up just a couple of days ago. So far it’s just as awesome as all the rest of the Metroidvanias have been, but they did happen to change one thing. The game is hard as frak! Well, okay, maybe that’s going a bit far — it’s no Ninja Gaiden — but I definitely got my rear end handed to me WAY more often than I’m used to in these games. Now notice how I just used the past tense there… I just “finished” the game, having apparently defeated the main bad guy, but as seems to be the case rather often in this series, I suspect I’m not REALLY done yet. For starters, I didn’t actually fight Dracula himself (no more details to avoid spoilers)… plus, the “ending” consisted of a single shot of one of the NPCs, a couple lines of dialog from another one, and then the exact same “Game Over” screen that you get when you die. Not satisfying. As soon as I’m done with this post, I’m off to GameFaqs to figure out WTF I need to do to get a proper ending here. Until I achieve that, this game is NOT getting crossed off the list (unless it turns out that what I saw WAS the actual ending… in which case, shame on you, Mr. Igarashi… just… shame.). Either way, I’ll be sure to let you know how it turns out. I return from my two-week-plus hiatus with news both delicious and dire. On the positive side of things, I have finally completed my original listing of GBA games (notice the careful wording there… one could probably call this foreshadowing and not be too far off the mark). Yes, Final Fantasy Tactics Advance has finally fallen to my superior skills plodding patience. This particular news should have been posted a few days ago when I idiotically stumbled into the final battle completely unprepared and proceeded to have my digital rear end handed to me. A few days of levelling and a series of all-powerful Totema attacks made a world of difference, however, with the finish tonight being quite easy indeed. So, while it has been some time since my last update, I’ve not been entirely unproductive in the interim (despite the best efforts of a few days’ vacation and a newly-acquired, wretchedly addictive rhythm game). The score, then, becomes 10/77, for a completion percentage of 13%. Notice, however, that the sidebar shows a slightly smaller percentage. This is not an error, but is, in fact, the bad news. During the vacation mentioned earlier, I had a chance to discuss this blog with my brother, whom I was visiting, and as loyal readers may have noticed is my wont, the conversation got Castlevania-y. In particular, I related to my brother that I only had the first two GBA Castlevanias (Circle of the Moon and Harmony of Dissonance) as a result of my getting stuck on HoD. The story went that after getting stuck at almost the very beginning of HoD, I decided to swear off Castlevania altogether, and thus skipped right over Aria of Sorrow. Needless to say, this only lasted until Dawn of Sorrow hit the DS, which I picked up to pad out my library for the system, which was rather lacking in quality titles at that time (okay, I picked it up because I couldn’t stay away from the Castle, I’m weak!). It followed, then, that I began to crave the chapter I skipped, but it was no longer being sold. Later, Konami published the Castlevania Double Pack, including both Harmony of Dissonance and Aria of Sorrow on a single cartridge. I intended to pick this up to complete my collection (even going so far as to put it on my Jellyfish.com wishlist), but had never actually made the purchase. Hearing my tale of calamity and tribulation, my brother informed me that he had, in fact, purchased the Castlevania Double Pack, had played through both games contained therein, and expected not to need the cartridge any further. As you may suspect, the game pak accompanied me home from the vacation, to become my first incidence of backsliding. Aria of Sorrow has joined the list as game number 78, forcing the current percentage down to 12.8% (10/78), instead of the 13% it would have been at otherwise. More than a week between posts… this is troubling. I apologize for the lack of updates, but I’ve just been immersed in Golden Sun: The Lost Age and Marvel: Ultimate Alliance. I believe it may have been a mistake to jump into both of these games at the same time, as both are relatively lengthy RPGs which I had not made much progress in on first play. Oh well, c’est la vie. In the meantime, I suppose that now is as good a time as any to finish up that Castlevania rambling I was doing before. When I left you last, I had just purchased myself a pink GBA. What I didn’t mention is that by myself I had concluded that I would wait until the Best Buy re-stocked and just pick up a blue one. That same day, I was speaking with a friend of mine who was a former Best Buy employee, and she proposed a solution to my quandary. She informed me that Best Buy will perform an exchange of an item without checking the validity of the customer’s claim that the product isn’t working properly. 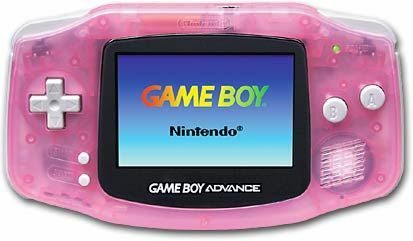 The plan was flawless: (1) buy the only GBA available and start playing Circle of the Moon immediately, (2) continue checking the Best Buy for the color of GBA I want, (3) when they’re restocked, take the pink one back, telling them that the screen cut out, and exchange for a less-girly color. And so I did. Circle of the Moon led to two other Castlevania games on the GBA, of course: Harmony of Dissonance, and Aria of Sorrow. The favorable impression that CotM left on me demanded that I pick up Harmony of Dissonance the day it came out. At the time, it felt like a mistake. I didn’t make it very far into the game before becoming hopelessly stuck. It turned me off of Castlevania altogether for quite some time, leading me to skip Aria of Sorrow altogether (much to my current dismay). I wouldn’t pick up another Castlevania game until Dawn of Sorrow hit the DS, which I felt was starving for quality titles at the time. I didn’t touch Harmony of Dissonance again until I began this project, somewhere around four and a half years later. The latest round of Castlemania (I seriously can’t believe I just typed that…) came about from Symphony of the Night hitting Xbox Live Arcade. As I mentioned in an earlier post, I never actually had the chance to play SotN despite having heard nothing but great things about it. With it coming out on XBLA, I snapped it up in a flash and found out first hand that it does, indeed, live up to all the hype. Afterwards, however, I was still wanting more, leading me to finish up Portrait of Ruin, and it all snowballed from there, bringing me to this glorious mess of ambition. In other words, this is all Castlevania’s fault. As previously mentioned, Castlevanias of various sorts have been dominating me in recent months. Since I haven’t yet finished any of the games on The List, I figure I’ll talk a bit more about this current obsession and how it ties into the One Hundred Percent Completion Project. The original Castlevania never really caught my fancy. When it came out for the NES, I still had yet to develop sufficient hand-eye coordination to be worth a damn at it (I was more for the Zapper games and RPGs). As the series went on and I became better able to wrangle a controller I began to realize that I just plain didn’t like the way the Castlevania games felt. The stair-climbing mechanic felt awkward to me, and the inability to change direction mid-jump put me off. The real clincher, though, was the almost complete lack of restorative items. A pot roast or two scattered in hidden bricks throughout the game was not enough. Even today, when I go back and try to play them (hello, GameTap!) those early games feel… awkward. In 1997, Konami fixed pretty much everything that was wrong with the franchise with Symphony of the Night on the PlayStation and the Saturn. Ushering in the “Metroidvania” style of gameplay, SotN reinvigorated the franchise. I knew absolutely nothing of this. In fact, at the time I was purely a PC gamer, as I skipped the entire Saturn/PlayStation/N64 console generation. I finally really got into Castlevania with Circle of the Moon on the GBA. Everything I read about it was positively glowing… all the reviewers were comparing its gameplay to Symphony of the Night, which (as I mentioned) I had never played, but the brief descriptions given were intriguing. I decided I must have it. One small problem, though: it was a launch title for the GBA, and I hadn’t planned ahead… my local Best Buy was out of GBAs. Well, okay… not out completely. There was still a pink one. I faced a quandary: not play the game at all for the foreseeable future, or play it immediately but stick myself with a pink gaming machine. 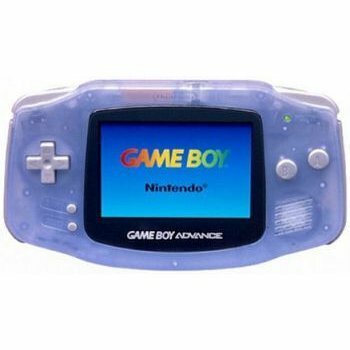 I walked out of that Best Buy with my head hung low and a pink Game Boy in my bag. Tomorrow I’ll continue the ever-so-riveting tale! You are currently browsing the archives for the Castlevania category.